The biggest criticism against Destiny seems to be a lack of content and repetitive game play. For Bungie to release an expansion pack just 3 months after the games release, it’s obvious the game doesn’t offer enough for the player to do. The story is almost non-existent. Characters are introduced and then pushed to the side with no explanation or back story. The games campaign involves taking your Ghost on a tour of a few planets, stopping to fight waves of enemies while he looks at artifacts and terminals and killing the occasional boss. Valley of the Four Winds. 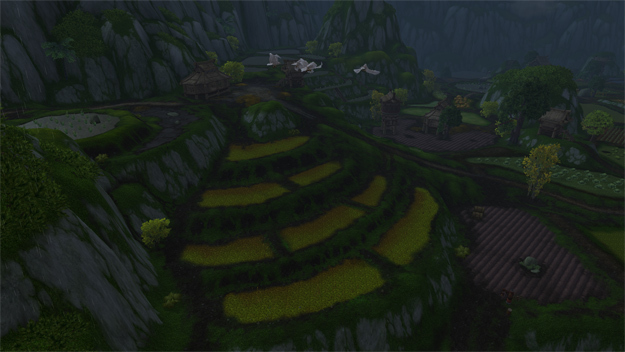 A zone from WoW filled with farm land. While the maps are expansive, there’s very little to actually explore apart from a few chests hidden in caves and some materials scattered around. The environments all feel like cut and paste jobs. The same boring grey textures are used all over the place and there’s very little difference between the different planets apart from the texture of the ground. There’s no NPC’s for you to interact with, no side quests during campaign missions and very little reason to ever stray from your way points. Just next to Valley of the Four Winds lies the Krasarang Wilds. 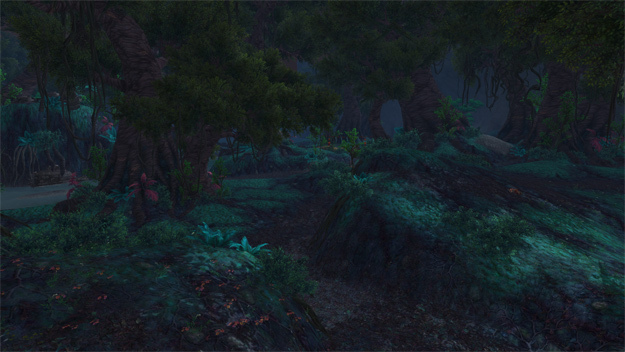 A dark forest with enormous trees towering over you. You can see each zone has it’s own distinct personality. At no point in Destiny’s campaign did I experience the epic moments I had come to expect from Bungie. Sony has a deal with Bungie for exclusive content. Unfortunately this is the direction the game industry is heading and there’s nothing us gamers can do about it. Gamers are the ones that get screwed. Destiny for Playstation was released with an exclusive PvP map, Exodus Blue and an exclusive strike, The Dust Palace Strike. Destiny’s first expansion The Dark Below also features a Sony exclusive strike, The Undying Mind. For those of you playing at home this means once The Dark Below hits Sony players will have 8 strikes while Xbox players only have 6. Of course, you won’t get a discount for buying the expansion on Xbox to compensate for the removed content. Expansion packs have been around for a long time. The term expansion implies a significant expansion of content or substantial new features on top of the original game. For example, the Command & Conquer Red Alert Aftermath expansion added new units, new campaign missions, new music and a hundred new multiplayer maps. Yes, ONE HUNDRED new maps for skirmish and multiplayer. Here’s a comparison of World of Warcraft’s latest expansion Warlords of Draenor and how it compares to Destiny’s expansion The Dark Below. By the way, this doesn’t take into account: professions, playable classes, playable races, mounts, holiday events, etc. Now I realise that WoW has been around for 10 years now and they’ve had time to perfect their art, but seriously? Warlords of Draenor has 7 new dungeons compared to one strike. Warlords has 2 new raids compared to one. Warlords will continue to receive free new content for the duration of the expansion which generally last 2 years. Destiny will require you to purchase a new expansion roughly every 3 months if you want to keep up with the latest content. You also can’t purchase the expansions separately and you’re effectively forced to put down a deposit on an expansion months before knowing any details about it. 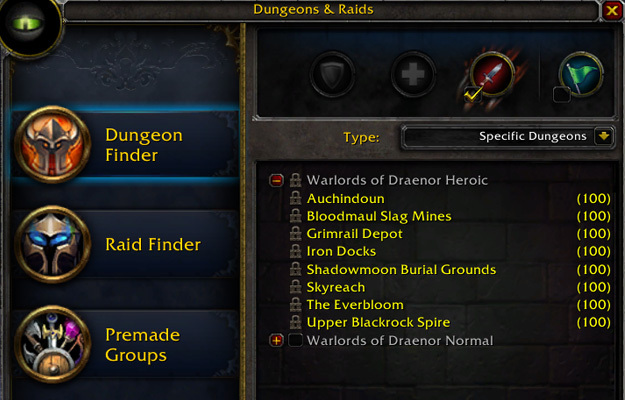 This is just a list of current dungeons available in Warlords of Draenor which has only just been released. Here’s a full list of dungeons and raids in WoW. 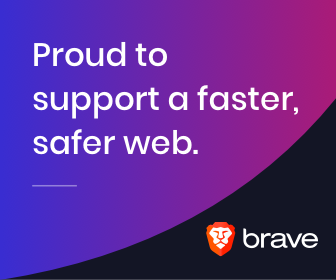 Note: All prices are in Australian dollars (rounded to nearest dollar). Prices are from the Battle.net store and the Xbox Store. The difference between playing the latest content for WoW and Destiny over 6 months is only $25. I also haven’t added the cost of an Xbox Live Gold or Playstation Plus subscription which is required for some features. Suddenly WoW doesn’t look so expensive when you factor in the enormous amount of content available compared to Destiny, which is only slightly cheaper with not even 5% of the content. Based on the release schedule for Destiny so far, we can estimate that 6 months from now we’ll be forking over yet another $40 for the 3rd and 4th expansions. It’s obvious Destiny is Activision’s latest money printer, but lets not forget how Guitar Hero went when they tried flooding the market with constant games and DLC. If Activision actually wants Destiny to last 10 years as they’ve suggested then Bungie need to give us a lot more than a single raid and a dungeon in future expansions. The story line needs a lot of work and the amount of content and the environments need a lot more variety. Bungie has some serious catching up to do. Personally, even as I was writing this article I was on the fence about purchasing the expansion pass for Destiny. I bought the game pre-owned for only $30 AUD from a mate that works at JB Hi-Fi so I feel like I got a pretty good deal. I’ve also got a lot of friends that play the game and I found the boss mechanics in the raid very enjoyable. Unfortunately, it’s come to light that the Weekly and Nightfall missions will not be available for players who don’t own the expansion. Due to this disgusting business practice I won’t consider buying the expansion unless this is fixed.